On the occasion of New year celebration of Nepal Sambat the newar community held a rally to celebrate it. Every newar influenced city organize a rally in Nepal with people dressed up in Newari dress and dancing in Newari music. Without music, life would be dull. Music has all the taste according to your mood. When there is a celebration time, music is always on, and guess what people says? Let’s rock man. Bangkok city is full of entertainment of all kinds. It is your choice which one you would love to take as your source of entertainment. I have always been a rocker. 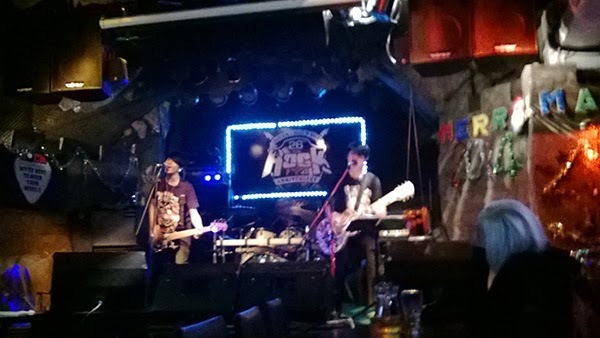 Since the first day I have came to Bangkok, I always looked for a place where they have live music or a place where they play rock music. At the beginning of my days in Bangkok, I was somewhat frustrated, as I did not go out too much and so had no idea where they play such type of music which was according to my taste. 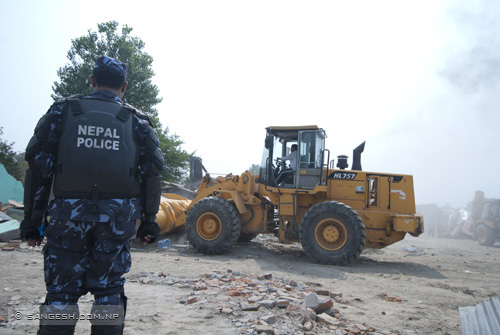 This day will be recorded in the history book of Kathmandu valley. Bagmati River is important part of this valley. Since last few decades many parts of this river were illegally capture by people at different places in the name of homeless people, so called sukumbasi. 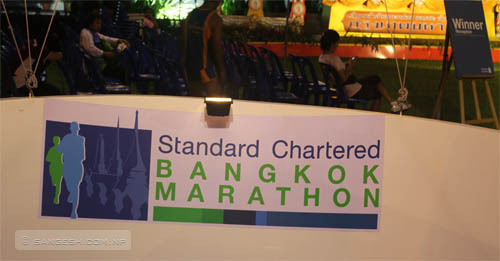 It was a great experience to watch Standard Chartered Bangkok Marathon 2011, Bangkok at 3 am. I was invited by our Nepali participant Mr. Mahendra Man Maharjan and his coach our veteran player Mr. Baikuntha Manandhar. It was a memorable time to watch the start of the game and talk with Mr. Manandhar. He shared his past experience with me and my other friends Dr. Ashish Subedi from Nepal and Mr. Hilal and Mr. Alam from Pakistan. There were many runners from around the world of different age. I am a regular visitor to Banglamukhi Temple at Patan. Every time I am there I always see plastic bag laying around the temple premises dumped by people who buy the diyo (traditional butter lamps). 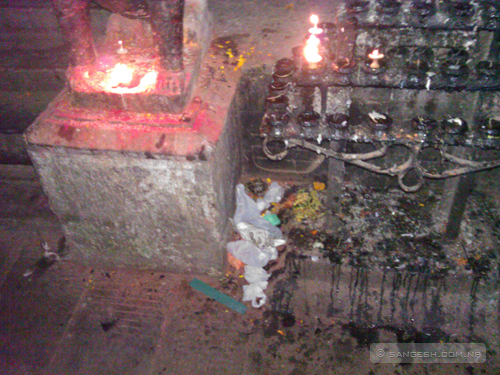 It makes the environment of the temple very much polluted and messy. These plastic bags are very small to use for some other purpose beside carrying very small things. We all Nepali have a positive thinking about our current Prime Minister Dr. Baburam Bhattarai. He is currently in official visit to United State to attend United Nations General assembly. His party is still listed as terrorist by the American government but he is in official visit to USA as a Nepali Prime Minister. All the Nepalese are happy to have him as a prime minister as we hope he can do something for this country. His wife Mrs. Hisila Yami is also communist leader who was a minister in previous government of Nepal. 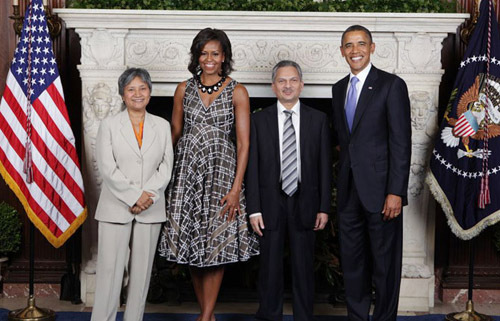 Today I saw a picture of this lovely couple taken during their meeting with The President of the United States Mr. Barak Obama and his wife. It’s saddening the way our Prime Minister and his wife dressed up. The world knows Nepal as the country which has multi diversity in culture and tradition. We have so many ethnic dresses and just few weeks ago the country had a debate on which dress should be called national dress. After a long time, I got an opportunity to watch Nepal’s National Team football. This time in my opinion Nepal faced a strong team. It is a team who played 2010 FIFA world cup in South Africa and they recently got back from Asia Cup 2010. I thought Nepal will try their best effort to not to concede many goals as they have been doing it in past with strong teams of Asia. This time my thoughts went all wrong. They showed the Nepali fans that they are capable of playing a good game.